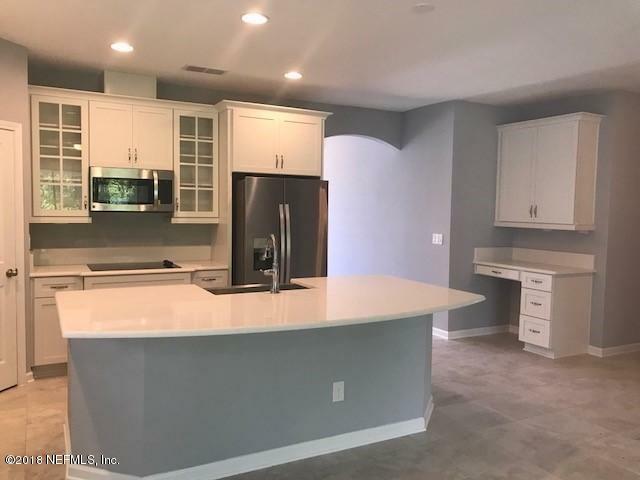 This Bright 4 bedroom 3 bath 3 car garage has so many beautiful finishes. 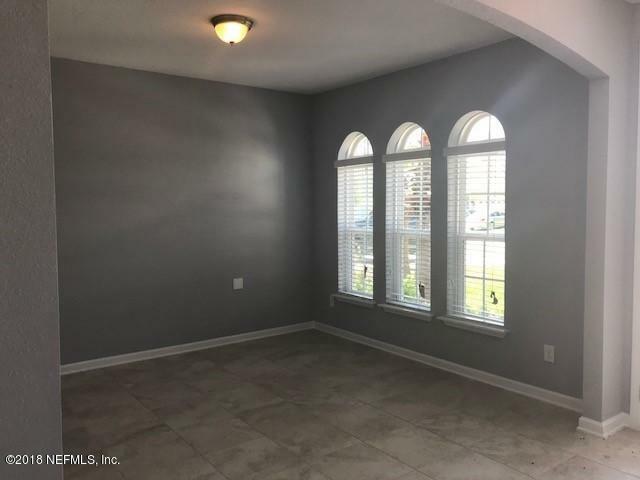 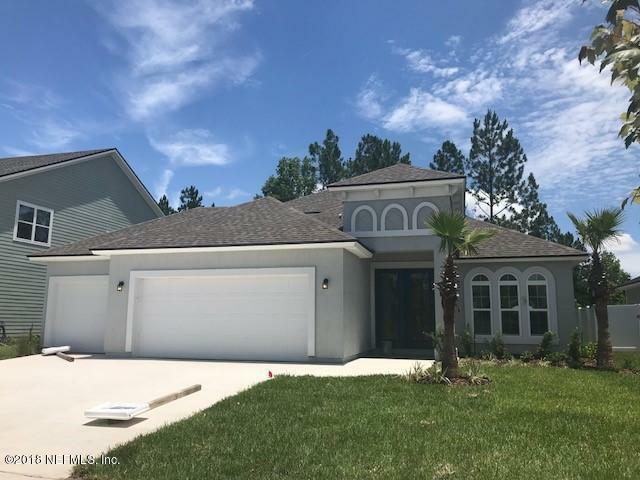 As you walk in you will be greeted with coffered ceiling in the family room, a triple hidden sliding glass door to the covered lanai, large bay window in master, farm sink, and Wisteria Wrought Iron 8 ft glass front doors. 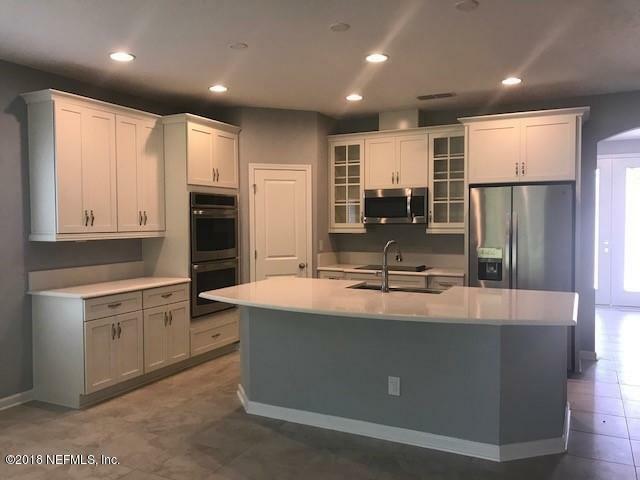 This Grand kitchen has a double oven, 42 in white cabinets, quartz counter tops, 17x17 tile in all the main areas and a gorgeous conservation view.